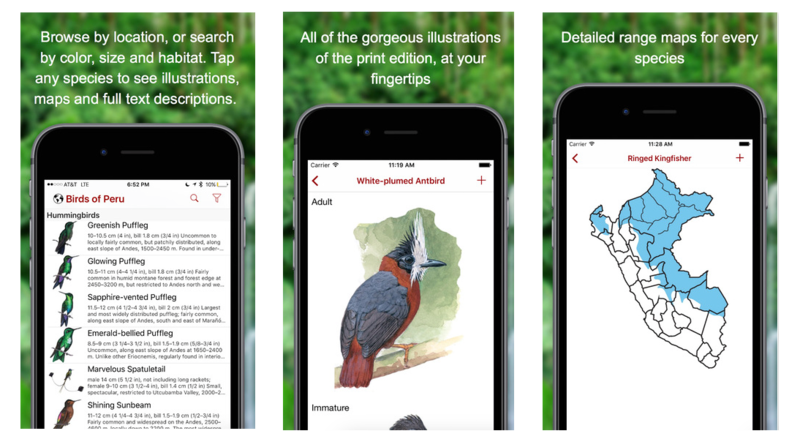 This easy-to-use application comes equipped with concise species descriptions, range maps, audio of bird calls, and detailed illustrations. Birds of Peru simplifies bird identification with an interactive Smart Search tool, and it makes it easy to keep track of bird sightings with an updatable life list. Birds of Peru is an important and must-have tool for all bird enthusiasts traveling in Peru, and is also useful in Colombia, Ecuador, the Brazilian Amazon, and Bolivia. 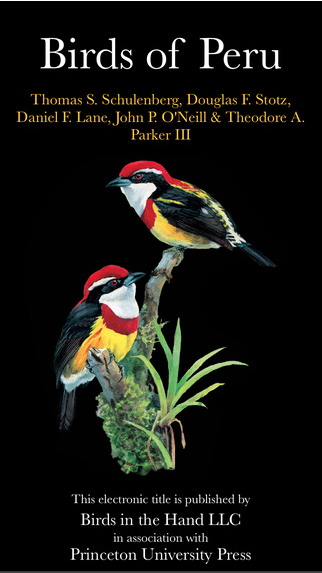 This is the interactive mobile field guide version of Birds of Peru by Schulenberg, Stotz, Lane, O’Neill & Parker. Like the paper edition, it is the most complete and authoritative field guide to this diverse neotropical landscape, featuring every one of Peru’s 1,817 bird species. Every distinct plumage is covered in superb, high-quality color illustrations. This mobile version includes all of the same excellent content of the print edition plus audio for 1,510 species and “Smart Search” by color, size and habitat. It has been updated to reflect the current eBird/Clements taxonomy. Peru is renowned for its spectacular array of wildlife and is home to nearly one fifth of the world’s bird species. It attracts birders and nature seekers from around the globe. The Birds of Peru mobile field guide is the most comprehensive and dependable birding tool for navigating this diverse neotropical landscape. This mobile application was developed from a collaboration between Princeton Field Guides and Birds in the Hand, LLC.